A new festival is coming to Abu Dhabi and it sounds like a whole lot of fun! 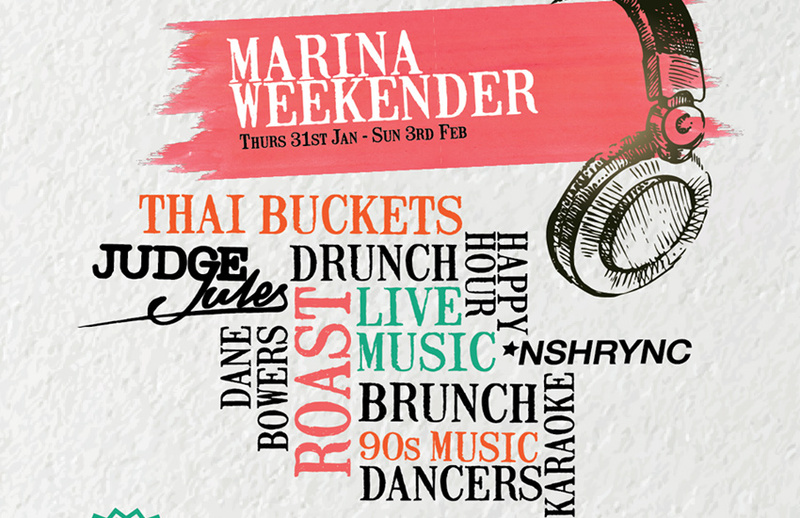 ‘Marina Weekender’ is a fortnight of fun at Yas Marina with a host of food and drink promotions, as well as the odd celebrity DJ and TV Chef throw in the mix too. The three latest venues in Yas Marina have all got together to provide a little something for everyone, whether you’re looking for great food, cheap cocktails or a night clubbing. So Who’s doing what then? Casa de Cuba - the Cuban-themed concept with a cocktail list from Dinos Constantinides, owner of Lost + Found (25th best bar in the world) will be showcasing some of Dino’s originally created cocktails for only AED 25, and will see UK DJ Judge Jules take to the decks on Friday 1st February for a special ‘Tropicana Sessions’. The Scene - as part of the Marina Weekender Festival you can meet legendary chef Simon Rimmer at The Scene – Abu Dhabi on Thursday 7th February. Expect some specially created dishes from the TV Chef, alongside their famous roast dinners. Entrance is FREE, just make sure you don’t have too much fun!